There's been much speculation about which women are coming in and out of Bradley Cooper's life, but there's one special lady who's taken up residence with the Oscar nominee: his mom. As a man who's rumored to have a pretty active dating life, that sounds like it could be a problem. But as Cooper, 38, tells the May issue of Details magazine, it really isn't that bad. "Glee" star Naya Rivera has earned accolades as the tough and proud Santana Lopez on the Fox comedy, but one of her prior gigs wasn't as rosy. The 26-year-old actress used to work at Hooters, she tells the May issue of Allure magazine, and she admits that she has "nightmares about that job." When tragedies like the Boston Marathon bombings happen, late-night hosts have to find ways to carry on - or not - with shows that are meant to be lighthearted. How do you crack jokes on a day when nothing seems funny? 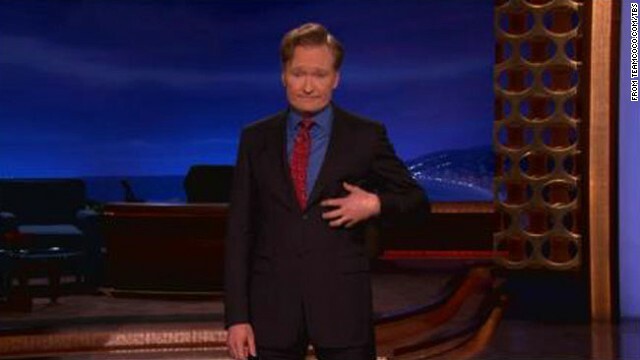 On Monday night, following the blasts that killed three and wounded more than 100 others, Jimmy Kimmel, Craig Ferguson and Conan O'Brien each approached that question in their own way. There's an old adage in showbiz that "the show must go on." That was the case Monday night at "Dancing with the Stars," as the celebrities and their pro partners took to the dance floor just hours after the devastating bombings at the Boston Marathon. The victims of Boston were not forgotten during the show, as host Tom Bergeron, who spent much of his early broadcasting career in Boston, expressed his love to "everyone back home" in the city, while gymnast Aly Raisman, who was born in the suburb of Needham, dedicated her samba to Boston. It looks like our request was Ozzy Osbourne's demand. 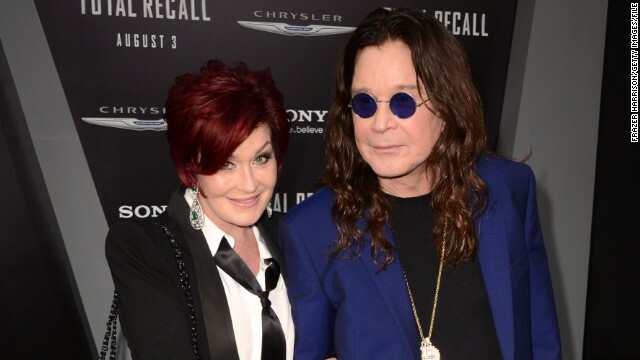 A day following the widespread speculation that he and his wife of 31 years, Sharon, were splitting up - much to our horror - Ozzy opened up on Facebook about his marriage - as well as his sobriety.